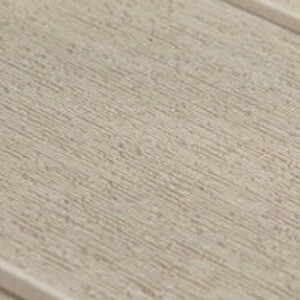 The Baltimore table is sturdy and solid which you will enjoy for years to come. 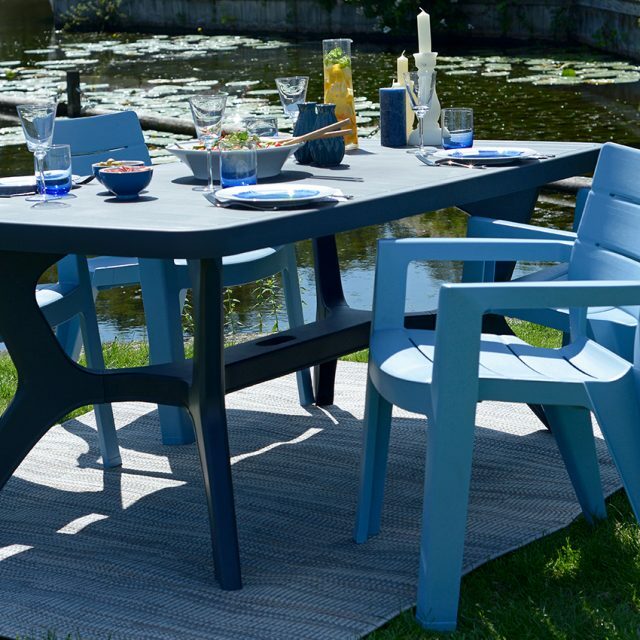 Available in the modern and colourfast cappuccino colour, it is perfect to combine with the reclinable Brasilia chairs, but also the comfortable, stackable Almeria chairs are a beautiful match. 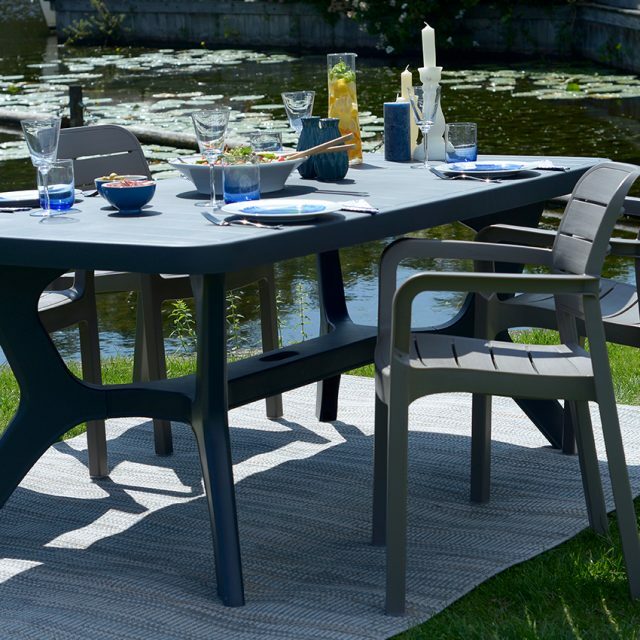 This is the ideal table for those long, warm summer evenings when you want to stay outside and spend times with your loved ones. It can also be tidied up in no time with only a damp cloth.